Quality is the result of intelligent effort. Efforts lead to innovation. A single innovation sparks the beginning of an evolution. More than four decades ago, an evolution started taking place; by beginning as a trading company, to primarily import Stainless Steel products. The seed of passion that was sown then, took the final shape of a company. Experience, expertise and excellence formed its foundation. Finally the name, the world recognized and connected with, is today an emerging name in the civilization of steel manufacturers – Chandan Steel Limited. At Chandan Steel Limited, they believe that steel is at the core of all developments; be it national or international. Every structure that stands strong has stainless steel in it. Unbent, tough, reliable, the metal’s glaze is a standing proof of the limitless possibilities that it has been powering from centuries after centuries. The entire infrastructure industry is dependent on this shiny metal to translate imaginations into reality. To be precise, stainless steel itself has also played a major role in serving as a constant inspiration for everyone associated with Chandan Steel Ltd to take up challenges, defy old notions associated with the process of manufacturing stainless steel and continue moving ahead; to see themselves at a position of high repute and global recognition. Competitive by nature, progressive by action, driven by innovations; Chandan Steel Limited belongs to the modern genre of achievers. Aided by state-of-the-art equipments, the brand name is valued across all business sectors. Chandan Steel Limited has from time to time reinvented itself and adapted flexibly to the demands of time. From acquiring sophisticated machineries to introducing its team of experts to newer possibilities in the stainless steel sector, Chandan Steel Limited continues making new forays in the global market. As a recyclable material, stainless steel continues to possess great sustainability credentials. The key role that stainless steel plays in everyday life and more, continues to present Chandan Steel Limited with opportunities that are purely driven by growth, foresightedness and credibility. Internationally too, Chandan Steel Limited has earned itself a reputation of being a company that delivers quality. Operating out of India and touching global shores, Chandan Steel Limited continues to take up more challenges, only to create more possibilities, which will serve as benchmarks for others to follow. The journey of Chandan Steel Limited is punctuated with strong beliefs, which have over the years transformed into an unparalleled philosophy. From being firm believers in delivering rather than preaching, Chandan Steel Limited has repeatedly showcased a philosophy, it strongly believes in. At Chandan Steel Limited everyone just doesn’t think about producing more stainless steel as a part of the process. But everyone also follows a rule to explore other spheres, which stretch beyond the basic lines drawn upon by the sharp corners of stainless steel. As a result, the think tank of Chandan Steel Limited has in a way made the first lot of molten steel run in the veins of this nation. This has been possible because of the two strong foundation stones they have laid, which they follow not as a rule; but a way of life. Our Mission is to Promote high quality stainless steel products and services. We seek to grow our business with the same honesty and integrity we use to manufacture our products, while we contribute higest to the environment. Our Vision is to become one of the most preferred supplier and leading manufacture of stainless steel products and to retain confidence in our customer in terms of trust, satisfaction and sustainability. Today Chandan Steel Limited is at a reputable position, guided by the foresight of the Chairman, C G Chandan. Adding strength to our mission for future is the expertise brought in by his two sons, Dilip Chandan and Vijay Chandan. Chandan Steel Limited’s stupendous success is a result of this strong relationship. Supervising across all divisions and absorbing the best technicians with higher degrees of qualification from across the nation; the organization is guided by the sole thought – Your future is created by what you do today and not tomorrow. The structure of leadership at Chandan Steel Limited allows each one to focus on sales, design, manufacturing, logistics and more. All core functions are handled effectively by following a system that is competent in its own way. Even though segregated into different divisions, the leadership at Chandan Steel Limited allows the employees to act as associates in the growth process. To which, the response has been equally encouraging and the results shown have been commendable. 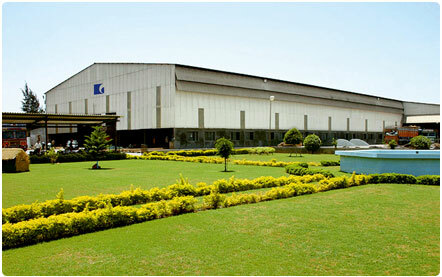 The plant at Umbergaon is a telling example of combined experience in the production and marketing of stainless steel. Partnering with the best in the industry, Chandan Steel Limited belongs to a legacy of undisputed leadership, which will continue to be globally recognized through new beginnings. The milestones Chandan Steel Limited takes pride of having conquered are the ones made possible by the solid foundation of seamless teamwork. Since an organization’s presence is mapped by such milestones; Chandan Steel Limited has continued to have achieved the most vital ones so far. All it took was sheer passion to emphasize and stay motivated by the solo belief – ‘The doing is often important’. The beginning points of a journey that was poised to taste success in the long run. Besides also contribute towards the building of a modern nation. Powered by confidence, every step thereafter was a destination closer to self sustenance and business of global value. The tides of change made Chandan Steel Limited accept challenges and deliver beyond expectation with this brand new installation. Post which, there have been reruns of prominence and precision. Adapting to the demands of time and guided with the determination to achieve more, Chandan Steel Limited made a positive decision. The benefits are evident enough for the world to gauge what the organization is all about. The process of manufacturing stainless steel involves precision and upgrades. 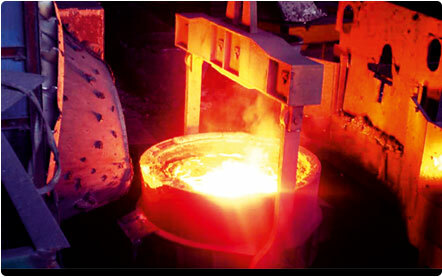 As a result, Chandan Steel Limited always chose to stay ahead, by installing an AOD and a Continuous Caster. To create an international identity, it was necessary to send products out of the country. The products didn’t just meet with customer consent, but also gave Chandan Steel Limited, a new reason to explore foreign shores. Being different is what adds more value to the business. Besides there evolves a new reason to pursue and the results show great signs of progress. In the last few years, Chandan Steel Limited has created a wide array of products. Every product that the company has added to this range, has only depicted the vision it holds towards the future. A step taken towards gaining indications and control required for fully reliable and safe operation. The addition of new machines in their business also opened new avenues for Chandan Steel Limited to explore. This step was taken to promote self sustained energy resourcing. Reputation continued to remain unchallenged with installation of few more machines. The vision always existed to do something that was extraordinary in nature. Chandan Steel Limited finally set up its fully integrated stainless steel facilities. Chandan Steel Limited did not just make a resolve, but achieved it too by acquiring a foreign brand. Today the module created by Chandan Steel Limited is actually followed by others. To Preserve sustainability & coordination inside & outside the company with accuracy. Chandan Steel Limited believes in responsible practices and procedures that every business is conducted with due respect to the environment. They also believe that it is every much necessary for a business conglomerate to contribute to social causes. The size of deeds doesn’t matter. But what matters is the intent, the motive to contribute positively towards community development and progress of the human race. Chandan Steel Limited is dedicated to the current mission initiated by the Government of India - Swachh Bharat. The company wishes to take this thought ahead by building 100 toilets in and around surrounding areas of Gujarat. Since children are the torchbearers of future, Chandan Steel Limited has been associating itself with developments that matter to the blossoming generation. From developing play areas to presenting them with academic initiatives such as sponsored scholarship for deserving students; the cause of building a sound future is an everyday process. And technology being a major deciding factor for progress, Chandan Steel Limited will be providing computers and financial support, to positively promote education. A blueprint is also under process to develop hospitals, which will comprise best healthcare facilities and instant help for the needy. At the same time, the company arranges for regular health checkup of the employees within the company and addresses every concern they share related with. 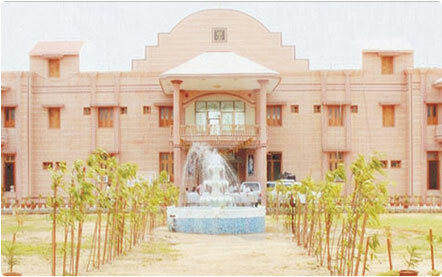 Being responsible to the surrounds is a motto for Chandan Steel Limited. Therefore 100% filtered air is emitted into the atmosphere and modern effluent treatment plant has been set up to treat the waste acid. Treated water is used for construction of bricks and developing green plantation. Also to promote self sustained energy resourcing, 4 windmills have been erected, which contribute to 20% of total energy. A specially appointed committee meets on constant basis to evolve environmentally safe technology; the aim is to go completely ‘green’ in the near future. Chandan Steel Limited regards safety to be superior of all. To ensure the same, fire fighting systems and air pollution controlling equipments are kept well maintained.